Therapists recognise that opening up for some can be the hardest part of therapy and they have no preconceived expectations of how you “should” be in therapy, whether you find expressing yourself difficult or are not ready to. They will work with you “as you are” with empathy and without judgement. They take time and will not criticise or blame you for whatever you experience. They are there to help you. Regardless of why you are having difficulties, here are some self-help strategies for you. As everyone is unique, you will need to assess for yourself which of these strategies would help. If the encounter is too distressing, then tell the therapist or even stop the session. You don’t want to hurt yourself emotionally by pushing through when you are clearly distressed. Consult your doctor and therapist. You can reflect on what you need from the therapist to help you open up; for example, maybe all you need is space and time, rather than being under pressure to talk. Ask the therapist to see if they can ask you questions that you can answer, rather than having to come up with things to say. You can also ask the therapist if they can do something with you that isn’t directly face to face. For example, use emotion cards or an expressive art (remember, art is not about being a good artist!). By taking the step to express your difficulties and needs, you’re already on your way to opening up. Clients can often put so much pressure on themselves to “perform” or be a “good client” that it can get in the way of opening up. If you recognise this in you, then that is likely to have therapeutic value, so it’s worth telling your therapist about. Remember, therapy is about focusing in on you and your goals rather than coming up with things to say to fill silence or please the therapist. So even if you’re silent, which I know can be awkward at first, you can learn to become more comfortable with it. You can consider using a diary to write about the topics you want to express, including difficulties you are having expressing yourself. Write a few points down and bring it into a session as a point of reference, or even send it in securely prior to your session. Expressing yourself in writing can be a good way to learn to develop confidence in opening up. Consider whether there are other sources you can draw upon to gradually open up. In Skill 10: Ideas for expressive material, for example, you’ll find an idea about expressing how you would like to be in the future. If you find it easier to talk about certain subjects, then that is the important first step. Many clients forget that what they experience in the here and now can be a useful source of expression. This is where you take a step back to notice your feelings, body sensations, and thoughts and verbalise them with the therapist. For example: My heart is running fast, I feel awkward, or I feel like escaping. Consider whether another medium, such as phone calls, outdoor therapy, or instant messaging approaches, would make opening up easier. Many online therapists are able to move from instant messaging, to phone, to face to face therapy as and when you are ready. If you’re not ready to open up because you don’t feel quite safe yet, then you can wait until you’re ready. Like in most relationships, building trust can take time and although it’s difficult now, that does not mean it won’t change over time. 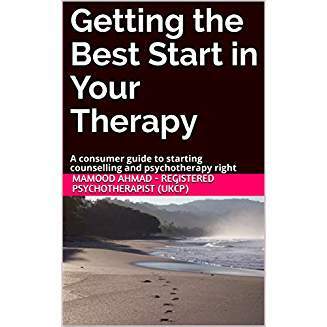 Alternatively, if you believe it’s not working because of the particular therapist you’re seeing, you can consider ending the relationship with that therapist. Remember, however you express yourself, the therapist will work you as you are, with empathy and without judgement.